The Insa Turbo Mountain is a mixed uses tire that perfectly combines the aggressive appearance of the off-road with the sensitivity and elegance of the on-road driving. Developed through the most advanced technology, it guarantees the perfect combination of 4x4 traction with good stability and performance on road. It has an improved trodden compound which improves the tire mileage. Its special tread block contributes to an ideal wear resistance. 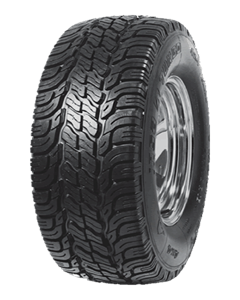 Its wide and independent tread block grants it an excellent traction and braking on any condition of the road. The strategically placed protectors of the sidewall increase its stability and handling. Better external aggressions resistance on stone surfaces.